As Donald Trump sharpens his re-election messaging, he has sought to make a foil out of freshman Democrat Rep. Ilhan Omar, homing in on her identity as a black Muslim immigrant and her brazen defiance of what was once a bipartisan pro-Israel consensus. Trump’s most recent attack was the most inflammatory to date, implying through a characteristically dishonest Twitter video that Omar had played some role in the 9/11 terrorist attacks. Trump was referencing comments Omar made this month during a banquet of the Los Angeles chapter of the Council on American Islamic Relations (CAIR): “CAIR was founded after 9/11, because they recognized that some people did something and that all of us were starting to lose access to our civil liberties,” Omar said during a 20-minute-long denunciation of public bullying and violent attacks against Muslims living in the West. (CAIR was founded in 1994, contrary to Omar’s claim). Amid an onslaught of menacing condemnations and online death threats triggered by Trump’s tweet, prominent Democrats mobilized to defend Omar. However, many were too timid to mention her by name, apparently fearing that doing so would play into Trump’s cynical strategy. Some refused to defend her at all. And among those willing to speak up, most felt compelled to lead their defense by reinforcing the quasi-theological understanding of 9/11 that leaves anti-Muslim narratives unchallenged. “The memory of 9/11 is sacred ground, and any discussion of it must be done with reverence,” insisted House Speaker Nancy Pelosi. In Washington, 9/11 is understood as an act of inexplicable evil that materialized out of a clear blue sky. “They hate us because we’re free,” Americans are still told in a semi-official drone, conveniently excising the attacks that took place on 9/11 from their historical context. This ruthlessly enforced interpretation has had the effect of displacing blame from those who bear direct or indirect responsibility for the attacks onto much more convenient scapegoats like the Islamic faith and its diverse mass of adherents. In my new book, “The Management of Savagery,” I explain which people did what things to lay the groundwork for the worst terror attack on U.S. soil. Not all of those people were Muslim, and few have faced the kind of scrutiny Omar has for her seemingly benign comment about 9/11. As I illustrate, many of them maintained lustrous reputations well after the ash was cleared from Ground Zero. Today, some of their names – Zbigniew Brzezinski, Ronald Reagan, H.W. Bush – are prominently engraved on airports, federal offices, and library halls around the country. Others became the subject of rowdy bestsellers such as “Charlie Wilson’s War,” or saw their exploits dramatized in Cold War kitsch productions like “Rambo III.” And then there were those who waged America’s dirty wars from the shadows, and whose names will scarcely ever be known. While these figures lay claim to the mantle of “national security,” their true legacy was the callous abandonment of that concept in order to advance imperial objectives. During the Cold War, they forged partnerships with theocratic monarchies and armed Islamist militants, even distributing jihadist textbooks to children in the name of defeating the Soviet scourge. Today, as Rep. Tulsi Gabbard – the lone foreign policy dissenter within the Democratic presidential field – pointed out, they are doing it all over again through their protection of the world’s largest Al Qaeda franchise in Syria’s Idlib province, which came into being thanks in large part to U.S. intervention in the country. Donate to our Spring Fund Drive. To effectively puncture Trump’s demagogic ploys, the discussion of 9/11 must move beyond a superficial defense of Omar and into an exploration of a critical history that has been suppressed. This history begins at least 20 years before the attacks occurred, when “some people did something.” Many of those people served at the highest levels of U.S. government, and the things they did led to the establishment of Al Qaeda as an international network – and ultimately, to 9/11 itself. Back in 1979, some people initiated a multi-billion-dollar covert operation to trap the Red Army in Afghanistan and bleed the Soviet Union at its soft underbelly. They put heavy weapons in the hands of Islamist warlords such as Gulbuddin Hekmatyar, dispatched Salafi clerics such as “Blind Sheikh” Omar Abdel Rahman to the battlefield, and printed millions of dollars worth of textbooks for Afghan children that contained math equations encouraging them to commit acts of violent martyrdom against Soviet soldiers. They did anything they could to wreak havoc on the Soviet-backed government in Kabul. These people were so hellbent on smashing the Soviet Union that they made common cause with the Islamist dictatorship of Pakistan’s Zia-ul-Haq and the House of Saud. With direct assistance from the intelligence services of these U.S. allies, Osama bin Laden, the scion of Saudi wealth, set up his Services Bureau on the Afghan border as a waystation for foreign Islamist fighters. These people even channeled funding to bin Laden so he could build training camps along the Afghan-Pakistan border for the so-called freedom fighters of the mujahideen. And they kept watch over a ratline that shepherded young Muslim men from the West to the front lines of the Afghan proxy war, using them as cannon fodder for a cold-blooded, imperial operation marketed by the Wahhabi clergy in Saudi Arabia as a holy obligation. These people were in the CIA, USAID, and the National Security Council. Others, with names like Charlie Wilson, Jesse Helms, Jack Murtha, and Joe Biden, held seats on both sides of the aisle in Congress. When they finally got what they wanted, dislodging a secular government that had provided Afghan women with unprecedented access to education, their proxies plunged Afghanistan into a war of the warlords that saw half of Kabul turned to rubble, paving the way for the rise of the Taliban. And these people remained totally unrepentant about the monster they had created. Back in the U.S., some people fueled the blowback from the Afghan proxy war. The Blind Sheikh was given a special entry visa by the CIA as payback for the services he provided in Afghanistan, allowing him to take over the al-Kifah Center in New York City, which had functioned as the de facto U.S. arm of Al Qaeda’s Services Bureau. Under his watch and with help from bin Laden, some people and lots of aid were shuttled to the front lines of U.S. proxy wars in Bosnia and Chechnya while the Clinton administration generally looked the other way. During the 1995 trial of members of the Blind Sheikh’s New York-based cell, another defense lawyer, Roger Stavis, referred to his clients before the jury as “Team America,” emphasizing the role they had played as proxy fighters for the U.S. in Afghanistan. When Stavis attempted to summon to the witness stand a jihadist operative named Ali Abdelsauod Mohammed who had trained his clients in firearms and combat, some people ordered Mohammed to refuse his subpoena. Those people, according to journalist Peter Lance, were federal prosecutors Andrew McCarthy and Patrick Fitzgerald. The government lawyers were apparently fretting that Mohammed would be exposed as an active asset of both the CIA and FBI, and as a former Army sergeant who had spirited training manuals out of Fort Bragg while stationed there during the 1980s. So Mohammed remained a free man, helping Al Qaeda plan attacks on American consular facilities in Tanzania and Kenya while the “Day of the Planes” plot began to take form. In early 2000, some people gathered in Kuala Lumpur, Malaysia, to prepare the most daring Al Qaeda operation to date. Two figures at the meeting, Saudi citizens named Nawaf al-Hazmi and Khalid al-Midhar, were on their way to the United States. While in Kuala Lumpur, the duo’s hotel room was broken into by CIA agents, their passports were photographed, and their communications were recorded. And yet the pair of Al Qaeda operatives was able to travel together with multiple-entry visas on a direct flight from Kuala Lumpur to Los Angeles. That’s because for some reason, some people from the CIA failed to notify any people at the FBI about the terror summit that had just taken place. The “Day of Planes” plot was moving forward without a kink. In Los Angeles, some people met Hazmi and Midhar at the airport, provided the two non-English speakers with a personal caretaker and rented them apartments, where neighbors said they were routinely visited each night by unknown figures in expensive cars with darkened windows. Those people were Saudi Arabian intelligence agents named Omar Bayoumi and Khaled al-Thumairy. 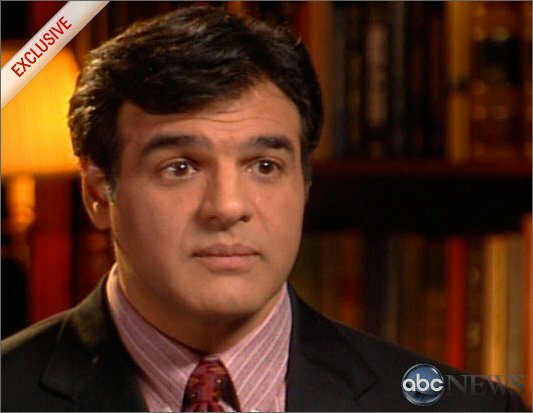 It was not until August 2001 that Midhar was placed on a terrorist watch list. That month, some people met at a ranch in Crawford, Texas, and reviewed a classified document headlined, “Bin Laden Determined to Strike Inside the US.” The bulletin was a page-and-a-half long, with detailed intelligence on the “Day of Planes” plot provided by Ali Mohammed, the Al Qaeda-FBI-CIA triple agent now registered as “John Doe” and disappeared somewhere in the federal prison system. Those people reviewed the document for a few minutes before their boss, President George W. Bush, moved on to other matters. According to The Washington Post, Bush exhibited an “expansive mood” that day, taking in a round of golf. “We are going to be struck soon, many Americans are going to die, and it could be in the U.S.,” CIA counterterrorism chief Cofer Black warned days later. Bush did not meet with his cabinet heads again to discuss terrorism until Sept. 4. A week later, on Sept. 11, some people did something. They hijacked four civilian airliners and changed the course of American history with little more than box cutter blades in their hands. Fifteen of those 19 people, including Hazmi and Midhar, were citizens of Saudi Arabia. They were products of a Wahhabi school system and a politically stultifying society that had thrived under the protection of a special relationship with the U.S. Indeed, the U.S. had showered theocratic allies like Saudi Arabia with aid and weapons while threatening secular Arab states that resisted its hegemony with sanctions and invasion. The Saudis were the favorite Muslims of America’s national security elite not because they were moderate, which they absolutely were not, but because they were useful. In the days after 9/11, the FBI organized several flights to evacuate prominent Saudi families from the U.S., including relatives of Osama bin Laden. Meanwhile, Islamophobia erupted across the country, with even mainstream personalities such as TV news anchor Dan Rather taking to the airwaves to claim without evidence that Arab-Americans had celebrated the 9/11 attacks. Unable to find a single operational Al Qaeda cell in the country, the FBI turned to an army of paid snitches to haul in mentally unstable Muslims, dupes and idlers like the Lackawanna 6 in manufactured plots. Desperate for a high-profile bust to reinforce the “war on terror” narrative, the bureau hounded Palestinian Muslim activists and persecuted prominent Islamic charities like the Holy Land Foundation, sending its directors to prison for decades for the crime of sending aid to NGOs in the occupied Gaza Strip. As America’s national security state cracked down on Muslim civil society at home, it turned to fanatical Islamist proxies abroad to bring down secular and politically independent Arab states. In Libya, the U.S. and UK helped arm the Libyan Islamic Fighting Group, a longtime affiliate of Al Qaeda, using it as a proxy to depose and murder Muammar Gaddafi. As that country transformed from a stable, prosperous state into an Afghanistan-style playground for rival militias, including a chapter of the Islamic State, the Obama administration moved to do the same to Damascus. In Syria, the CIA armed an outfit of supposedly “moderate rebels” called the Free Syrian Army that turned out to be nothing more than a political front and weapons farm for an array of extremist insurgent factions including Al Qaeda’s local affiliate and the Islamic State. The latter two groups were, of course, products of the sectarian chaos of Iraq, which had been ruled by a secular government until the U.S. came knocking after 9/11. The blowback from Iraq, Libya and Syria arrived in the form of the worst refugee crises the world has experienced since World War II. And then came the bloodiest terror attack to hit the UK in history – in Manchester. There, the son of a Libyan Islamic Fighting Group member, who traveled to Libya and Syria on an MI6 ratline, slaughtered concert-goers with a nail bomb. Cataclysmic social disruptions like these were like steroids for right-wing Islamophobes, electrifying Trump’s victorious 2016 presidential campaign, a wing of the Brexit “Leave” campaign in the UK, and far-right parties across Europe. But as I explain in “The Management of Savagery,” these terrifying trends were byproducts of decisions undertaken by national security elites more closely aligned with the political center – figures who today attempt to position themselves as leaders of the anti-Trump resistance. Which people did which things to drag us into the political nightmare we’re living through? For those willing to cut through the campaign season bluster, Ilhan Omar’s comments dare us to name names. 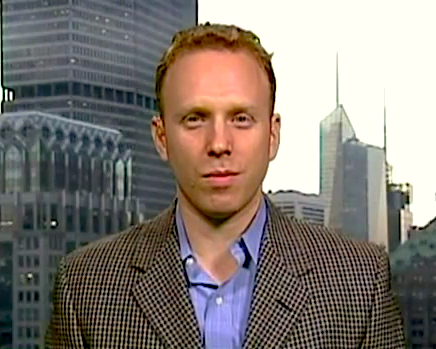 Max Blumenthal is an award-winning journalist and the author of books including best-selling “Republican Gomorrah,” “Goliath,” “The Fifty One Day War” and “The Management of Savagery,” published in March 2019 by Verso. He has also produced numerous print articles for an array of publications, many video reports and several documentaries including “Killing Gaza” and “Je Ne Suis Pas Charlie.” Blumenthal founded the Grayzone in 2015 to shine a journalistic light on America’s state of perpetual war and its dangerous domestic repercussions. a donation to our Spring Fund Drive. policies, what McCabe is describing is nothing less than a coup attempt. It’s something that happens in weak or nascent democracies, following interference by the CIA perhaps. It should never happen here. Trump has long had an antagonistic relationship with the FBI, the CIA and other elements of the intelligence community. Indeed, in early 2017, when news of the FISA warrants and the private intelligence Steele dossier began to leak out, Trump began to tweet his disgust at news of impending investigations of him, his campaign, and his business dealings. But Trump was right. The intelligence community—the FBI, CIA, the NSA and other three-letter agencies—are too powerful, too entrenched and two well-funded. And they have far too little oversight. They’re a threat to our democracy, not the saviors of it. That is why it pains me to see Democrats lining up behind them to attack Trump. I was a member of that “Deep State” throughout my 15 years at the CIA. I can tell you from first-hand experience that the CIA doesn’t care who the president is. Neither does the FBI. Senior CIA and FBI officers are there for decades, while presidents come and go. They know that they can outwait any president they don’t like. At the very least, at the CIA, they could made administrative decisions that would hamstring a president: Perhaps they don’t carry out that risky operation. Maybe they don’t target that well-placed source. Maybe they ignore the president’s orders knowing that in four years or eight years he or she will just go away. McCabe’s almost offhanded comments on “60 Minutes,” that the FBI actively considered deposing a sitting president should be cause for alarm. Set partisan politics aside for a moment. We’re talking about deposing a sitting president. We’re talking about wearing a wireto catch a sitting president saying something because you’re angry that he fired your boss. Even the idea of it is unprecedented in American history. If you enjoyed this original article, please consider making a donation to Consortium News so we can bring you more stories like this one. Julian Assange’s lawyers have filed an urgent petition to the Inter-American Commission of Human Rights (IACHR) to stop Ecuador from extraditing him to the United States and to pressure the U.S. to reveal its sealed charges against the WikiLeaks publisher, WikiLeaks said on Wednesday. His lawyers also applied to the IACHR to get Ecuador to end its surveillance of Assange and “to stop the isolation imposed on him,” according to the 1,172-page filing. The IACHR is an autonomous part of the Organization of American States (OAS) to promote and protect human rights. Its decisions are not legally binding on OAS member states. But it can create political embarrassment for states that are found to have committed human rights violations. “The calls to extradite Mr. Assange to the United States, as the result of his work as a publisher and editor, is the reason Mr. Assange obtained political asylum at Ecuador’s embassy in London in August 2012,” WikiLeaks said. Baltasar Garzón, the international coordinator of Assange’s legal team, called for “international solidarity for this case in which the right to access and impart information freely is in jeopardy,” the statement said. A decision whether to unseal the details of an indictment against Assange is held up in a courtroom in Alexandria, Virginia. In November, Judge Leonie Brinkema delayed her decision for what she said would be a week. 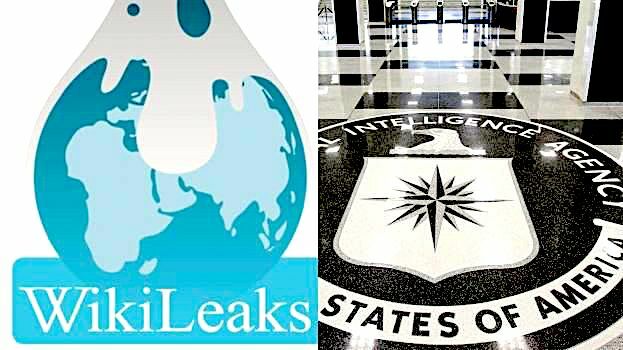 The WikiLeaks petition to the IACHR also “reveals for the first time that U.S. federal prosecutors have in the last few months formally approached people in the United States, Germany and Iceland and pressed them to testify against Mr. Assange in return for immunity from prosecution,” the WikiLeaks statement said. “Those approached are associated with WikiLeaks’ joint publications with other media about U.S. diplomacy, Guantanamo bay and the wars in Iraq and Afghanistan,” said the statement. The petition points out espionage activity against Assange in the embassy by private security firms contracted by Ecuador “which, instead of being involved in protecting the asylee, have spied on Mr. Assange and his visitors.” The private firms have been acting as informants to the FBI, WikiLeaks said, citing media reports. “Ecuador is required to end the regime of isolation imposed on Mr. Assange, suspending the application of the so-called special protocol and guaranteeing his rights as an asylee will be respected in full,” the filing said. As we stood at the barricades, lights from a car in an alley flashed on, and several men emerged. I thought that we were going to have some sort of interaction with consulate guards or Istanbul police, but when TV cameras followed the men out of the car, we realized they were journalists. They said they have a 24-hour stakeout on the door of the consulate. The journalists became interested that I was a former U.S. diplomat and asked my opinion of what was happening. I told them that I knew what the journalists were reporting about the disappearance of Khashoggi. However, I mentioned violent actions have been associated with diplomatic facilities in the past. U.S. government personnel assigned to U.S. embassies, or using a U.S. embassy as diplomatic cover, had been a part of rendition, torture and deaths of people the U.S. alleged were part of terrorist activities after Sept. 11, 2001. Six days after the 9/11 attacks, President George W. Bush signed a covert memorandum that authorized the Central Intelligence Agency (CIA) to seize, detain and interrogate suspected terrorists around the world. U.S. Embassy personnel arranged for the flights of U.S. government or private aircraft to pick persons up from one country and “render” them to other countries where they were tortured in “black sites.” Recently, a citizen’s commission in North Carolina published its report, “Torture Flights: North Carolina’s Role in the CIA Rendition and Torture Program,” that documented the use of private, U.S.-government contracted jet aircraft owned by Aero Contractors. Their flights originated from small, private airports in North Carolina with destinations all over the world to deliver alleged suspects. 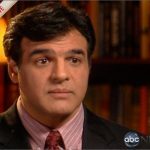 The report says the CIA abducted and imprisoned at least 119 individuals before the practice was officially ended and repudiated by Presidential executive order in 2009 during the Obama administration. Many of the prisoners were taken to CIA “black sites,” where they experienced beatings, prolonged stress positions, temperature extremes, long-term isolation, various water tortures, mock executions and sexual abuse. In violation of international law, the CIA transported some prisoners to foreign custody where they were subject to torture and abuse. Kidnapping, torture and secret detention occurred without respect for victims’ innocence or guilt and absent any legal process for them to contact their abductions. One of the U.S. government employees who was deeply involved in the rendition and torture during this period was CIA station chief Gina Haspel, now the director of the CIA. She flew to Istanbul on Oct. 22 ominously to represent the Trump administration during the Turkish investigation into the death of Khashoggi. A few days before she arrived, on Oct. 19, the Saudi government finally acknowledged that Khashoggi died in the Saudi Consulate in Istanbul, claiming his death was the result of a fight that broke out between him and the 15 Saudi government officials, including four members of the Royal Guard and members of the Saudi Air Force and Army, who had flown into Istanbul on Oct. 2 and who left later in the day. The latest information leaking from the Turkish government indicates that the dismemberment of Khashoggi was filmed and Skyped to Crown Prince Mohammed bin Salman’s senior aide, Saud al-Qahtani, who has since been reportedly sacked from his position. 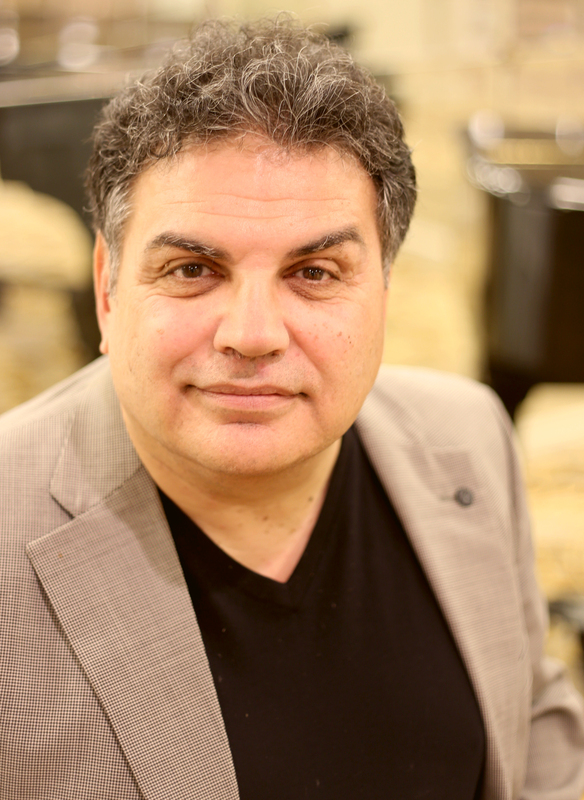 Al-Qahtani was reportedly Mohammad bin Salman’s right-hand adviser/enforcer in the kidnapping and interrogation of Lebanese Prime Minister Saad Hariri and of the detention and shakedown of many wealthy Saudi elite in the Ritz-Carlton Hotel in Riyadh. 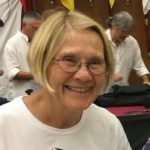 Journalists I spoke with in Istanbul cited President Trump’s comments on the U.S. press as one of the causes of the impunity of authoritarian governments to jail critical journalists, though such arrests certainly predate Trump’s presidency. Turkey has had more imprisoned journalists than any other country, according to the Committee to Protect Journalists. Istanbul is filled with journalists who are exiled from their countries for their views on authoritarian regimes—Saudi Arabia, Egypt, Iraq, Syria, Libya, Somalia, Yemen. Journalists that I spoke with in Istanbul are fearful that the authoritarian governments from which they fled may attempt to silence their dissent by violent means such as the Saudi government used against Jamal Khashoggi. Istanbul lets Middle Eastern-exiled journalists report from Turkey, but it is ironic that since the failed coups in July 2016, the Turkish government has jailed more than 150 Turkish journalists on charges of terrorism offenses for articles or social media posts. President Erdogan’s administration has shut down more than 180 media outlets, putting around 2,500 journalists and media workers out of work. On the World Press Freedom index, Turkey is 157 out of 180 countries. Of all the imprisoned journalists worldwide, one-third are in Turkish prisons. The Committee to Protect Journalists states that worldwide in 2018, 44 journalists have been killed. In 2017, 262 journalists disappeared, and 61 are missing globally. From 1992 to 2018, 1,323 journalists have been killed. Some members of the U.S. Congress are calling for the Trump administration to distance itself from the Saudi regime due to the murder of Khashoggi and take serious steps, including stopping weapons sales and sanctions. Little connection is made to the horrific number of deaths in Yemen from Saudi and U.S. bombings, with the exception of Sen. Bernie Sanders’ reintroduction of Senate Joint Resolution 54, which calls for the end of refueling and intelligence sharing after Congress reconvenes (and hundreds more Yemenis have been killed). As the Saudi regime murders in its own country, its diplomatic missions in Turkey and through its proxy militias in Syria, Iraq, and other countries, the U.S. wrongly continues to support this dictatorship—as a key ally of the United States. 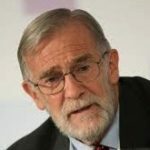 Newly released declassified documents prove once and for all that CIA Director Gina Haspel oversaw torture in Thailand, which the chairman of the Senate Intelligence Committee knew all along, as Ray McGovern explains. That Haspel supervised the torture of Abd al-Rahim al-Nashiri at the first CIA “black site” for interrogation was already clear to those who had followed Haspel’s career, but she was able to do a song and dance when Sen. Sen. Diane Feinstein (D-CA) asked her about it. Haspel declined to reply on grounds that the information was classified. It was of course because Haspel herself had classified it. All the senators knew that only too well. Sen. Ron Wyden (D-OR) had strongly objected to this bizarre practice only minutes before. Witnessing this charade from the audience prompted me to stand up, excuse myself for interrupting, and suggest that the committee members were entitled to an honest answer since this was a public hearing with thousands watching on TV. The American people were also entitled to know whether or not Haspel was directly involved in torture. As I was calmly pointing out that any Senate Intelligence Committee member who prepared for the hearing already knew the answer, I was “escorted out,” manhandled and charged with disrupting Congress and resisting arrest. Jeremy Scahill later did a good job on Democracy Now! in putting needed context around the free pass and encouragement CIA torturers continue to enjoy at the hands of co-conspirators like Sen. Burr. I have now had time to read through the documents obtained by the National Security Archive via Freedom of Information Act requests. Suffice it to say they are so sad and sickening that I had to stop reading. Burr was on the House Intelligence Committee, led by Porter Goss (R-FL) and later by Pete Hoekstra (R-MI), that winked at torture (not to mention blindly accepting the faux intelligence used to “justify” war on Iraq). Might the CIA remind Burr of his condoning of torture, were he to chose not to play along with the Haspel nomination? Burr’s record on the Senate Intelligence Committee is equally dubious. In January 2015, as soon as he took the Senate Intelligence Committee chair from Feinstein, he recalled all copies of the four-year committee study based on official CIA documents, which not only exposed unimaginably heinous forms of torture but found no evidence that any actionable intelligence was obtained from them. To her credit, Feinstein had faced down both President Barack Obama and CIA Director John Brennan and got a long Executive Summary of the committee investigation published just before she had to relinquish the chair. As an act of conscience, on March 2, 2006 I returned the Intelligence Commendation Medallion given me at retirement for “especially meritorious service,” explaining, “I do not want to be associated, however remotely, with an agency engaged in torture.” I returned the medallion to Hoekstra (R, Michigan), who was then-Chairman of the House Intelligence Committee, with a statement explaining my reasons. Hoekstra then secretly added to the Intelligence Authorization Act for FY’07 (HR5020) a provision enabling the government to strip intelligence veterans of their government pensions. HR5020 passed the full House, but Congress opted instead for a continuing resolution. The bottom line? The foxes have been guarding the chicken coop for many years now. Haspel will fit right in. O Tempora, O Mores. 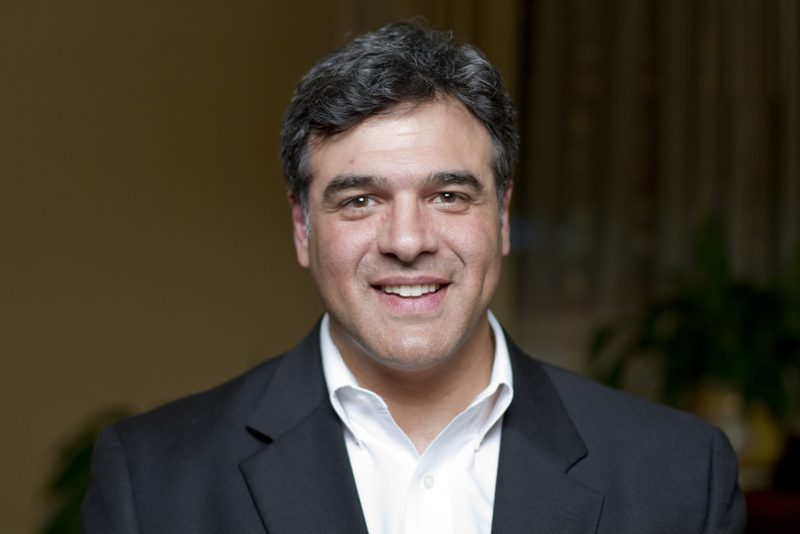 COMMENTARY: Former CIA agent John Kiriakou argues that no former intelligence official should be allowed to keep their security clearances when they leave government, especially if they work in the media. Libertarian senator Rand Paul, a Kentucky Republican, said on Monday that in a personal meeting with President Donald Trump, he urged the president to revoke the security clearances of a half dozen former Obama-era intelligence officials, including former CIA director John Brennan, former Director of National Intelligence James Clapper, and former National Security Advisor Susan Rice. I couldn’t agree more with Paul’s position, not specifically regarding these three people, but for any former intelligence official. No former intelligence official should keep a security clearance, especially if he or she transitions to the media or to a corporate board. The controversy specifically over Brennan’s clearance has been bubbling along for more than a year. He has been one of Trump’s most vocal and harshest critics. Last week he went so far as to accuse Trump of having committed “treason” during his meeting in Helsinki, Finland with Russian president Vladimir Putin. Brennan said in a tweet, “Donald Trump’s press conference performance in Helsinki rises to & exceeds the threshold of ‘high crimes and misdemeanors.’ It was nothing short of treasonous. Not only were Trump’s comments imbecilic, he is wholly in the pocket of Putin. Republican patriots: Where are you?? ?” The outburst was in response to Trump’s unwillingness to accept the Intelligence Community position that Putin and the Russians interfered in the 2016 presidential election. Other intelligence professionals weighed in negatively on Trump’s Helsinki performance, including Republicans like former Defense Secretary Chuck Hagel and former CIA director Mike Hayden. I’ve known John Brennan for 30 years. He was my boss in the CIA’s Directorate of Intelligence decades ago. John was hard to get along with. His superiors generally didn’t like him. He was once fired from a job at the CIA. He’s not particularly bright. And then he found a patron in former CIA director George Tenet, who saved his career. Brennan has had his run. He succeeded beyond his wildest dreams. He’s been CIA Director, deputy National Security Advisor, director of the Transnational Terrorism Information Center, and deputy Executive Director of the CIA. That’s pretty heady stuff for a kid from Bergen, New Jersey. No former intelligence officials should have a security clearance. There’s no purpose for it other than propaganda and personal enrichment. And if Brennan or Hayden or Clapper or any other former intelligence official becomes an employee of a media company, he or she should not have a security clearance. Period. Donald Trump ought to act right now. 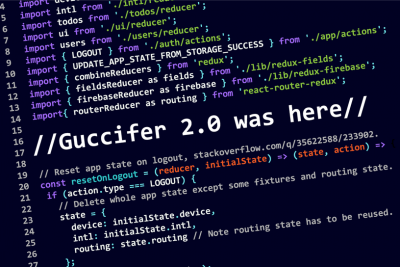 Among the assertions are that a persona calling itself “Guccifer 2.0” is an instrument of the GRU, and that it hacked the emails on the Democratic National Committee’s computer and conveyed them to Wikileaks. What the report does not explain is that it is easy for a hacker or foreign intelligence service to leave a false trail. In fact, a program developed by CIA with NSA assistance to do just that has been leaked and published. 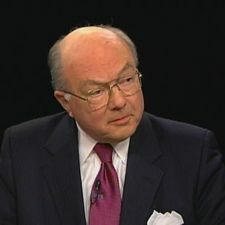 Jack Matlock is a career diplomat who served on the front lines of American diplomacy during the Cold War and was U.S. ambassador to the Soviet Union when the Cold War ended. Since retiring from the Foreign Service, he has focused on understanding how the Cold War ended and how the lessons from that experience might be applied to public policy today. Five days into the Trump presidency, I had a chance to challenge Schiff personally on the gaping disconnect between the Russians and WikiLeaks. Schiff still “can’t share the evidence” with me … or with anyone else, because it does not exist. It was on June 12, 2016, just six weeks before the Democratic National Convention, that Assange announced the pending publication of “emails related to Hillary Clinton,” throwing the Clinton campaign into panic mode, since the emails would document strong bias in favor of Clinton and successful attempts to sabotage the campaign of Bernie Sanders. When the emails were published on July 22, just three days before the convention began, the campaign decided to create what I call a Magnificent Diversion, drawing attention away from the substance of the emails by blaming Russia for their release. A few weeks later William Binney, a former NSA technical director, and I commented on Vault 7 Marble, and were able to get a shortened op-ed version published in The Baltimore Sun. New attention has been drawn to these issues after I discussed them in a widely published 16-minute interview last Friday. 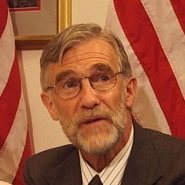 Ray McGovern works for Tell the Word, a publishing arm of the ecumenical Church of the Savior in inner-city Washington. He was an Army infantry/intelligence officer before serving as a CIA analyst for 27 years. His duties included preparing, and briefing one-on-one, the President’s Daily Brief.